London has no shortage of bars to visit in the evening. But if you’re bored of bars and want to experience the city’s nightlife in a unique and exciting new way, why not try one of these attractions and make it a night out to remember. Silent discos have made it possible go clubbing in any location as they eliminate noise restrictions. Some of London’s most unique locations host silent discos including the Science Museum and the top floor of The Shard. 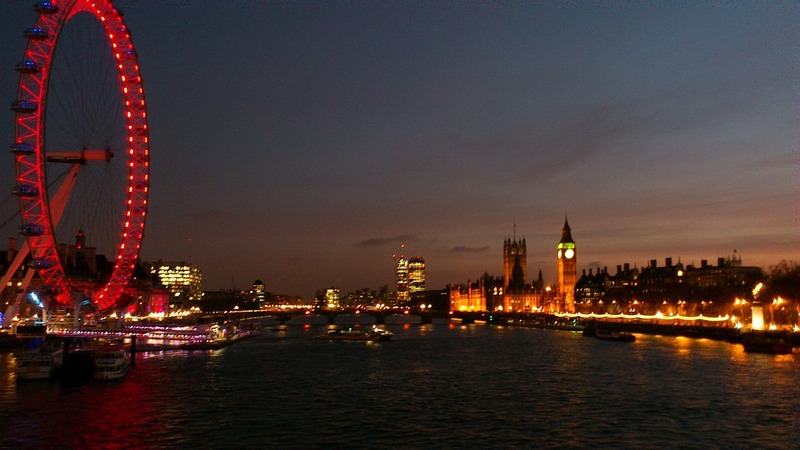 There are also silent disco boat parties that regularly take place along the Thames. These impressive settings are certain to make it a memorable event for you and your group of friends. SEA LIFE London Aquarium now allows you to get up close and personal with the sharks after dark. You’re given a glass of Prosecco upon arrival and can then take a tour of the fish at night. These are VIP events with limited spaces so expect to pay a little more and book well in advance to secure yourself a ticket. There are many tours across the capital that allow you to engage with London’s dark past. A popular attraction is the Jack The Ripper Tour, held seven days a week. A guide leads you by foot through the locations of this legendary murder including the likes of Whitechapel and Spitalfields. Many of the guides are published authors on the subject of Jack the Ripper so you can feel free to ask as many questions as you like throughout the tour. They also incorporate storytelling, creating a theatrical and atmospheric experience. You’ll find many movie theatres across London. But for a unique cinema date, nothing beats catching a showing at The Grand. This ex-theatre has a colossal screen (the biggest in London) and shows mainly cult classics. The experience comes with themed cocktails and unlimited popcorn as well as the chance to take part in an after party. There are often drinking games and fancy dress competitions involved to add to the thrill of the night. These can be a fun event for cinephiles – many showings of cult films will attract fellow diehard fans and the afterparty gives you all a chance to socialise and talk about the movie. London’s ice bar is shaped entirely out of Arctic river ice and offers a chilled out setting like none other. You can grab a cold drink and combine with a meal. There are even ice-sculpting events where you can learn to carve sculptures out of ice yourself. Visitors are only allowed 40 minutes in the ice bar at a time (the temperature is minus five degrees Celsius, so you may not want to stay too much longer anyway). This bar books up very quickly – especially around Winter – so make sure to plan your visit well ahead to avoid missing out on this cool experience.